Great Golf Course views from this 4 bedroom home built overlooking the steeply sloping # 9 fairway. 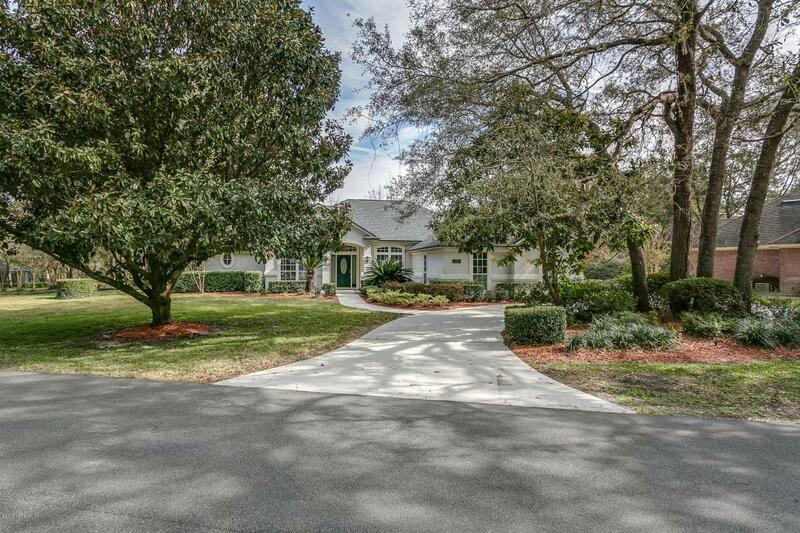 Hardwood trees accent the circular driveway, to coquina home. 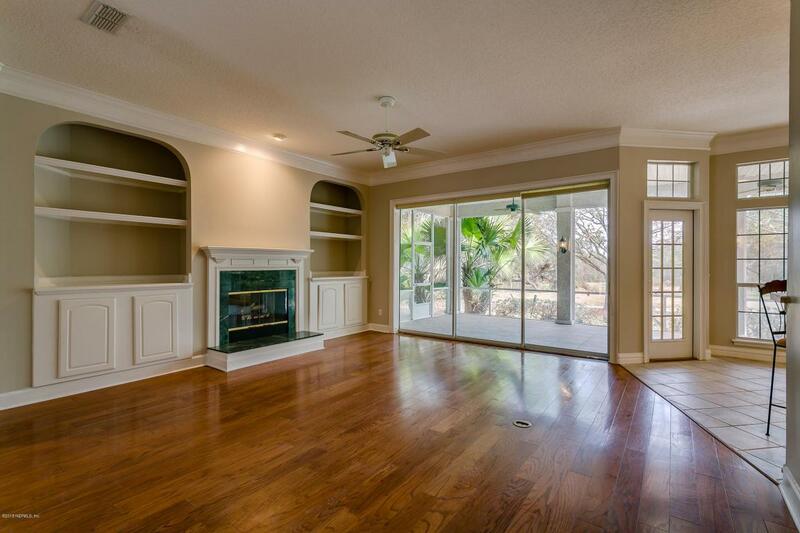 Wide tile entry into great room with built-in bookshelves and gas fireplace. Lots of light from large stack back sliders onto screened lanai. 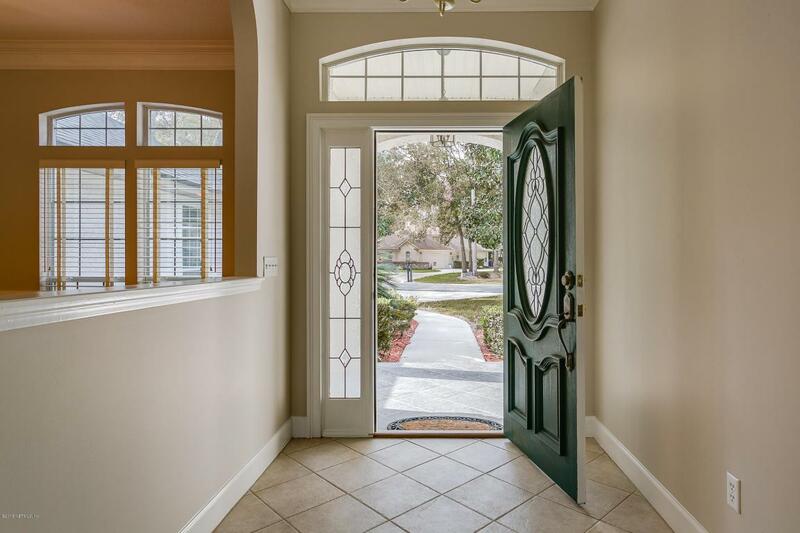 Kitchen is open to great room without losing privacy. 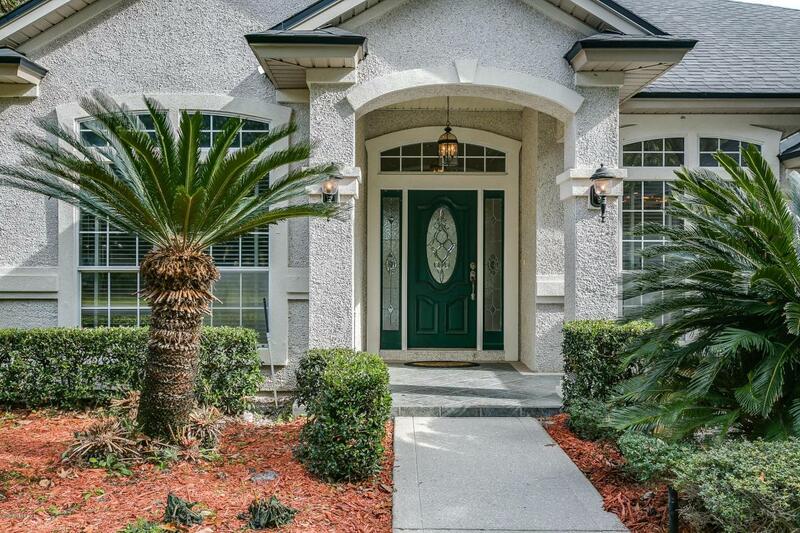 Oversized breafast area, breakfast bar, white cabinets, and pantry closet. Master bedroom is large with large master bath with his and her vanities and large closet. Split bedroom arrangement with central 2nd bath. Half bath in great location by great room . Roof is 2 years old.